The open floor plan, with new paint, includes a spacious living room with brand new furniture, including sofa bed, that flows into the updated, spotless kitchen, complete with new appliances. The master bedroom has a king sized bed, television and leads into the master bathroom. The second bedroom has two twin beds and television as well making this an ideal spot for families. No detail is overlooked in order to make your vacation carefree. Linens, extra towels and pillows are stocked for your visit. Weekly maid service is provided. Besides it's prime location near beaches and pool, you are also close to BBQ facilities. Directly across the street is John's Pass Village, a quaint turn-of-the-century fishing village and Pinellas County's #1 tourist attraction. The Village has over one hundred unique shops, a variety of restaurants, the local fishing fleet, dolphin watching and shelling tours, boat rentals, parasailing and jet skiing. Best of all as a SunHost customer you can walk to this great entertainment destination. Anchor tenants include Bubba Gumps, Hooters and Hubbards Marina and also world famous Bamboo Beer Garden. No water view or balcony and it seems like I was charged for that accomadation. The room on the same level as mine was 50.00 dolllars a night cheaper and appeared more luxurious then the unit we had. The beds were at least comfortable. Bare minimum accessories in the condo for the price. Too bad the beach was beautiful and the location was good. We loved the condo and the location. The swimming pool was great. It was wonderful being across the road from John's Pass. Nice room plenty of space! New appliances, cabinets full of dishes, comfortable beds and blankets. 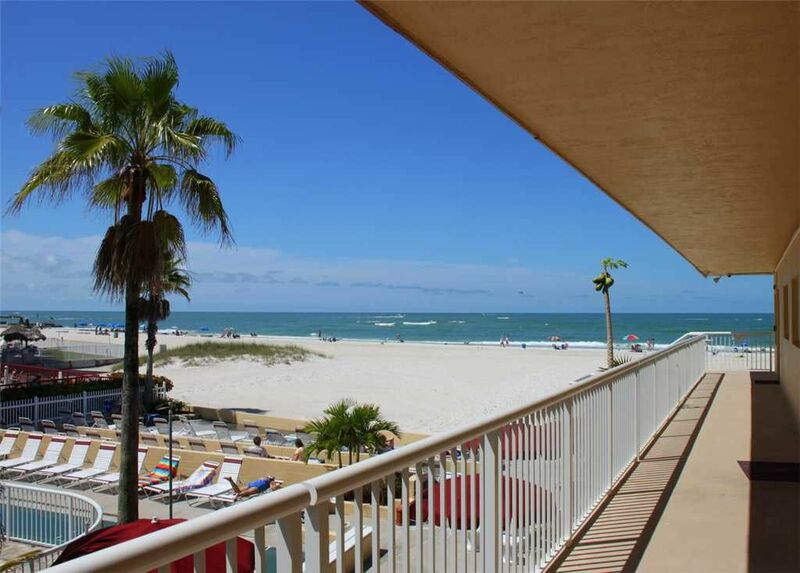 Convienant location right across the street from the boardwalk and at Johns Pass village. Family friendly as there is a pool there, shuffleboard and places to grill. I would most definitely come back for next Florida vacation.